One of the secrets to a cozy and smartly done living room is planning. Whether the living room is narrow or long, square-shaped or small, there are all kinds of inviting ideas you can use to arrange your furniture, versatile enough to maximize your living space. Obviously, a living room has lots of functions and the way items are arranged should suit all the functions you have in mind for the space. Here are a number of things to have in mind while planning your living room. How do you intend to spend time in the space? Before you bring anything into your living room think about how you intend to spend time there. You can write down everything to make furniture prioritizing easier. Don’t forget to factor in conversation flow as well as living room traffic. The way the room is entered, movement between and around sofas and chairs should also be thought about. The last thing you would like is being trapped in your own living room or feeling that getting out or in the space is like taking long laps around the house. Sofas shouldn’t be located close to the entrance to allow you to walk out and in a room as easily as possible. In between the seating, the space shouldn’t be too much to allow for easier conversation flow. Your living room would look strange if every piece of furniture was placed on one side leaving an open space on the opposite side. Take time to divide the space in various sections while ensuring that furniture has been distributed equally in basically every area of the room. The focal point is important in a living room. If you have a portrait, poster, large antique clock or an indoor water fountain you would love it to be the focal point. This is why your living room furniture should be placed in such a way that it seems to pay homage in a creative way to the focal point you have selected. Anytime you sit on a chair or sofa the piece should not be behind you but at the center and front. In case you have bought furniture that doesn’t really match perfectly you can lay it nicely by creating some symmetry. Think about mirroring the pieces of furniture on both sides of a sofa or fireplace or any other imaginary axis. In the process, the eyes of everyone in the room will be satisfied and happy. This is non-negotiable. The living room must always be functional and prettiness and elegance should never come first. If finding a place to place a glass or a phone is serious business or you have to stand or really stretch your neck to watch the TV, something is wrong. The furniture is definitely wrongly planned and not helping. If you can view the television without craning your neck or have enough space to place a bottle of wine beside your iPad on a table you have probably planned the space well. Unwinding in your living room is everything after a long day running around. Think about the space and the stylish sofas that will transform your space without taking all the space. There are footstools and armchairs you can go for to transform your living room, including diverse storage solutions to remove clutter from the living room and tuck it away safely in a tidy fashion. Spacious sideboards, bookcases with multiple shelves and coffee tables are all diverse types of living room pieces you should think about. Choose living room tables, some of the best leather recliner chairs, cabinets, and bookcases with available space in mind. You can add something special like bean bags to make the room cozier with a tinge of elegance. Remember if furniture is not scaled correctly it will break the room while too much or too less space will destabilize the feel and look of the living room. 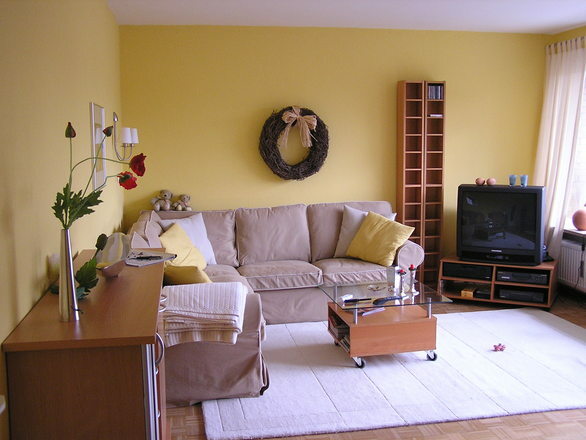 Lightening up your furnishings and walls is important and light colors can really help. They also give an idea of extra space. Choosing darker colors will make the space feel closed in.